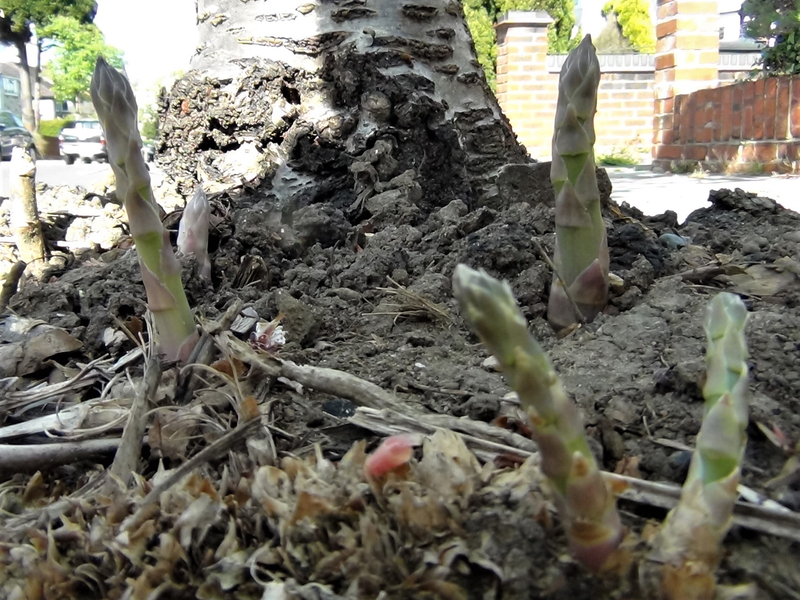 A tasty asparagus spear in a less than tasty spot, under a tree growing on the pavement. 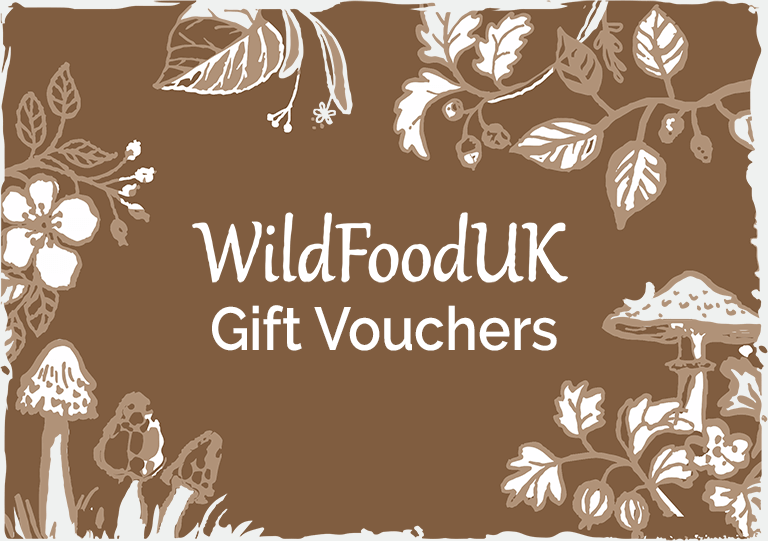 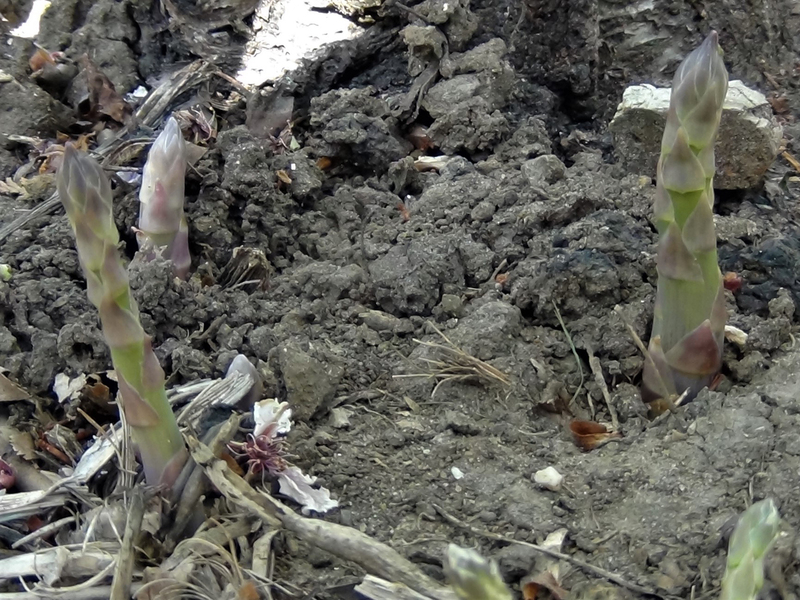 Wild Asparagus is really the escaped cultivated plant but a few different varieties can grow in the UK. 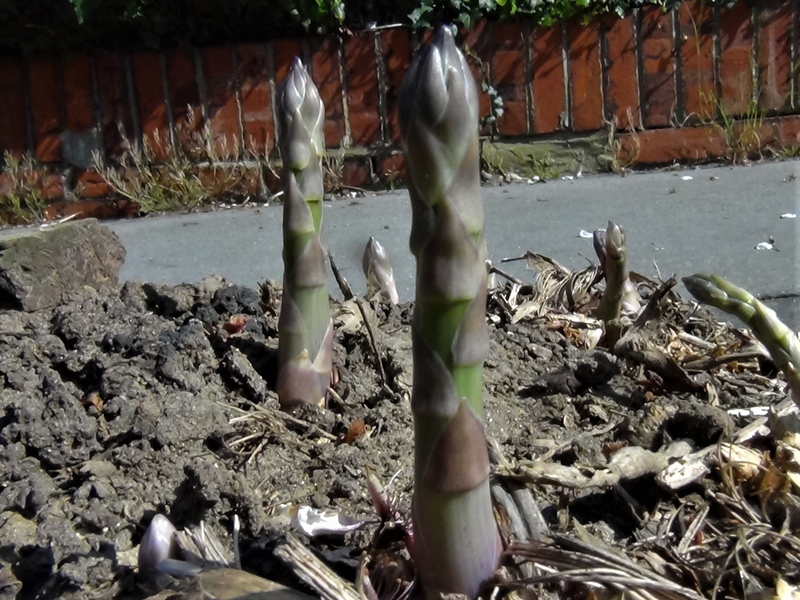 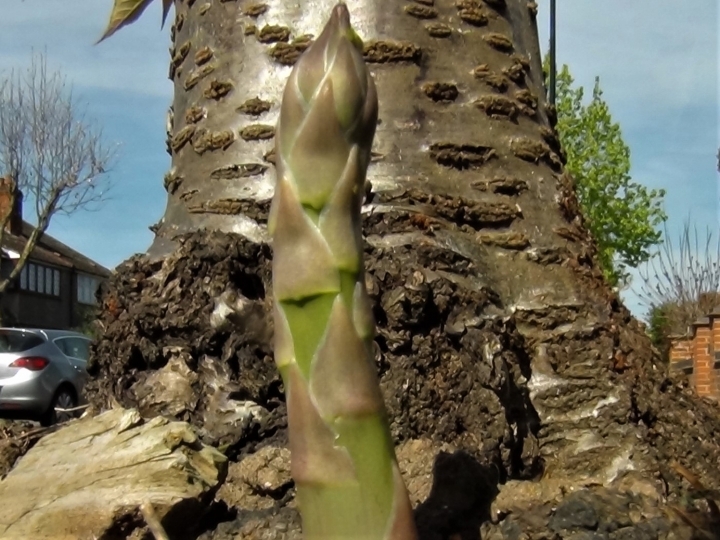 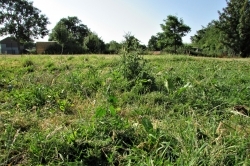 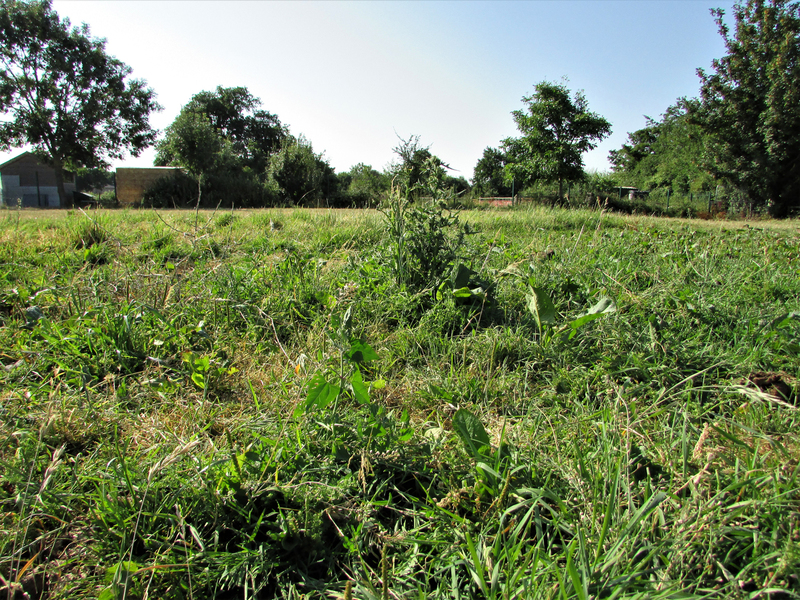 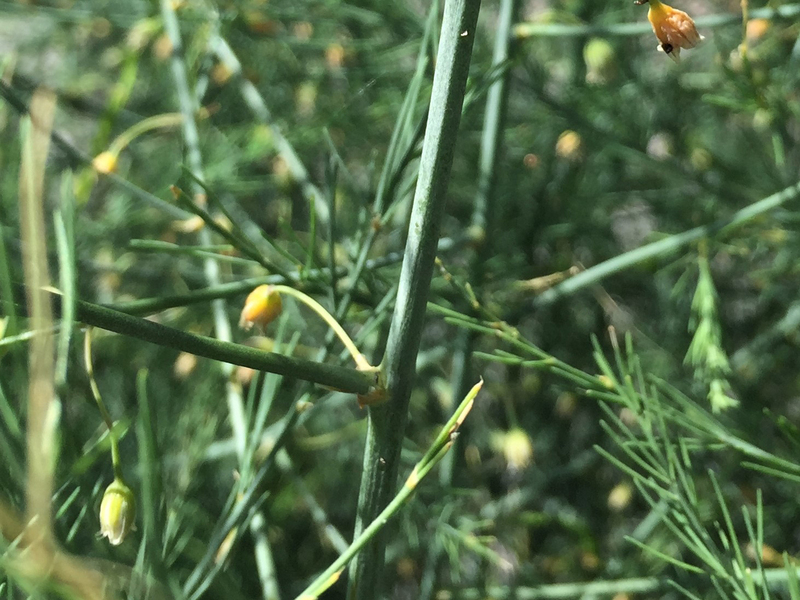 There is also confusion over whether Asparagus officinalis sub prostratus is a sub species or a separate species itself and grows prostrate along the ground, otherwise it looks like A. officinalis. 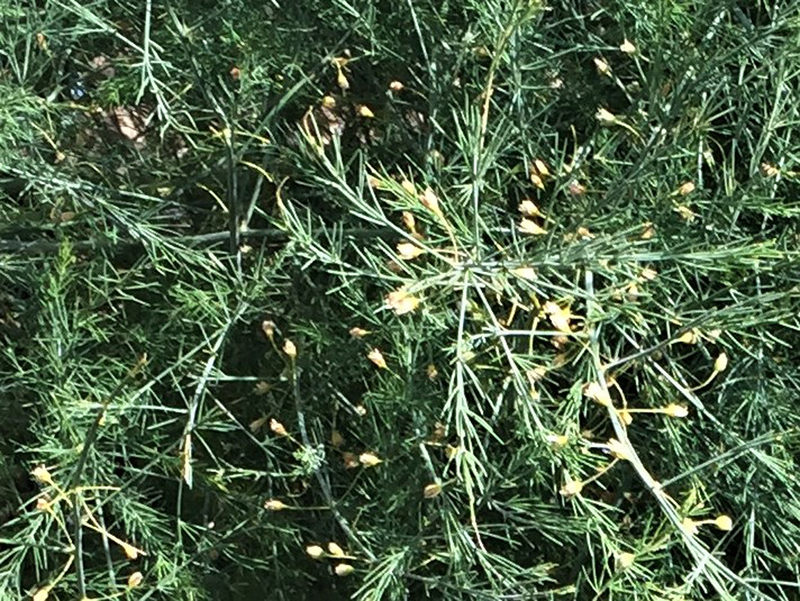 The leaves look feathery but are needle like and can feel quite sharp. 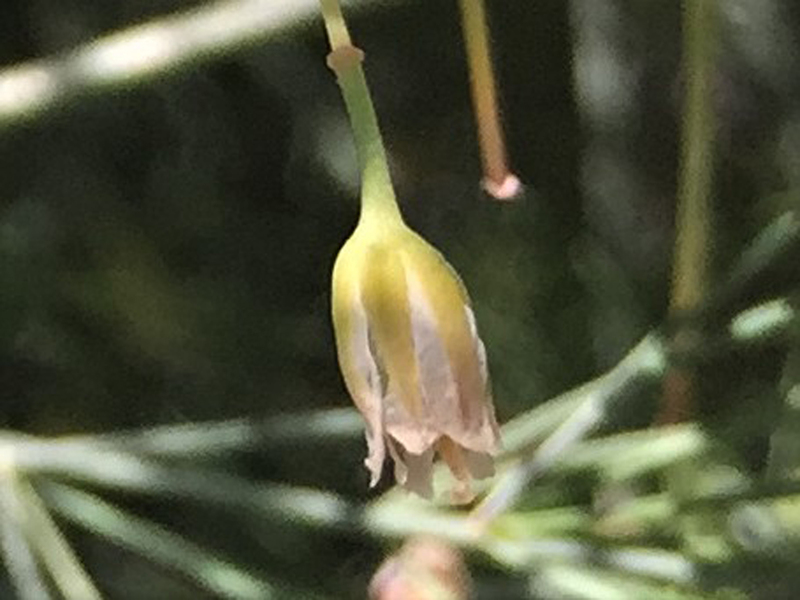 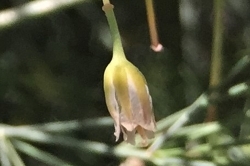 The flowers are bell-shaped, greenish-white to yellow and are produced singly or in clusters of two or three in the junctions of the branches. 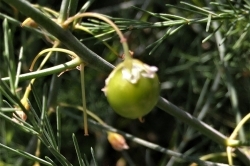 Later in the year toxic red berries are produced. 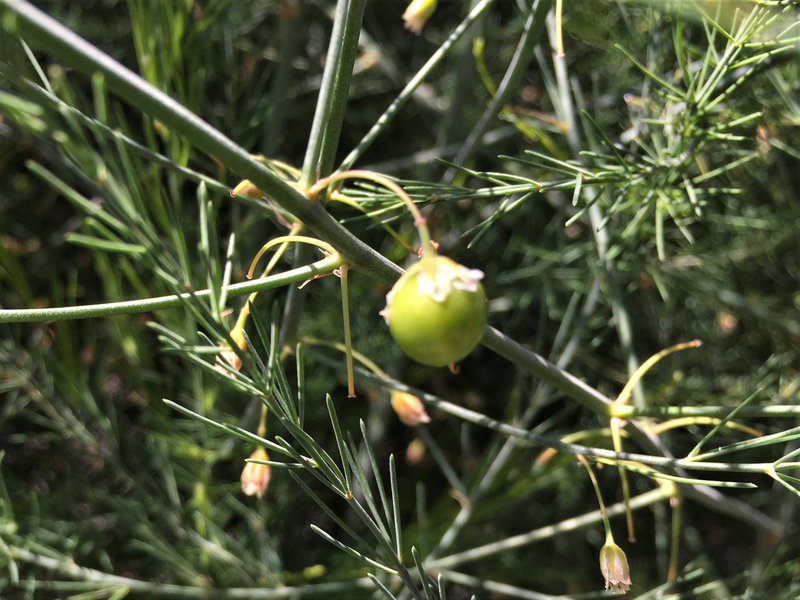 Toxic red berries ripen in Autumn but start green earlier in the year. 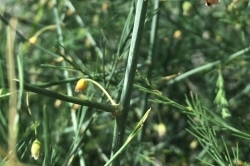 In its wild shrub like form, the stem is woody and at the base of young growth there should be dry triangular leaf scales. 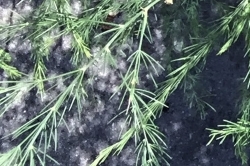 Wood edges, gardens, waste ground and soil with a salt content, ie; coastal or alongside roads that are gritted. 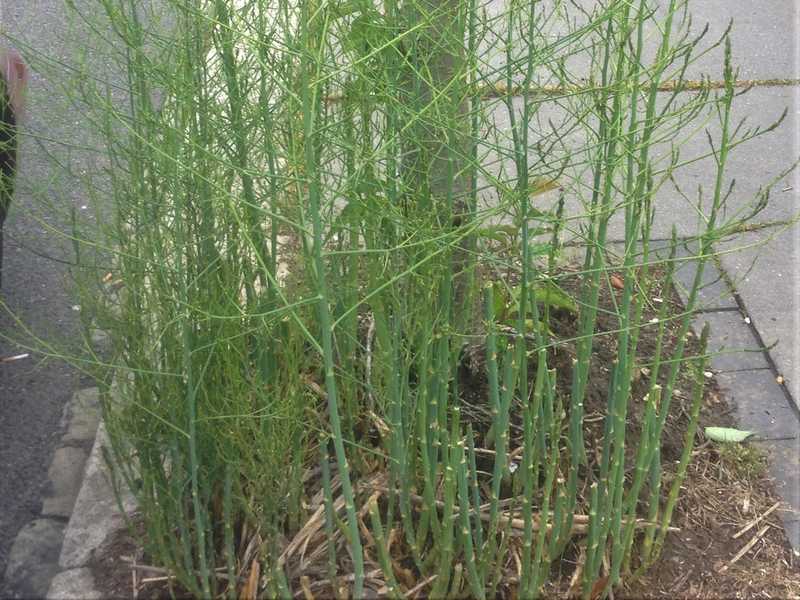 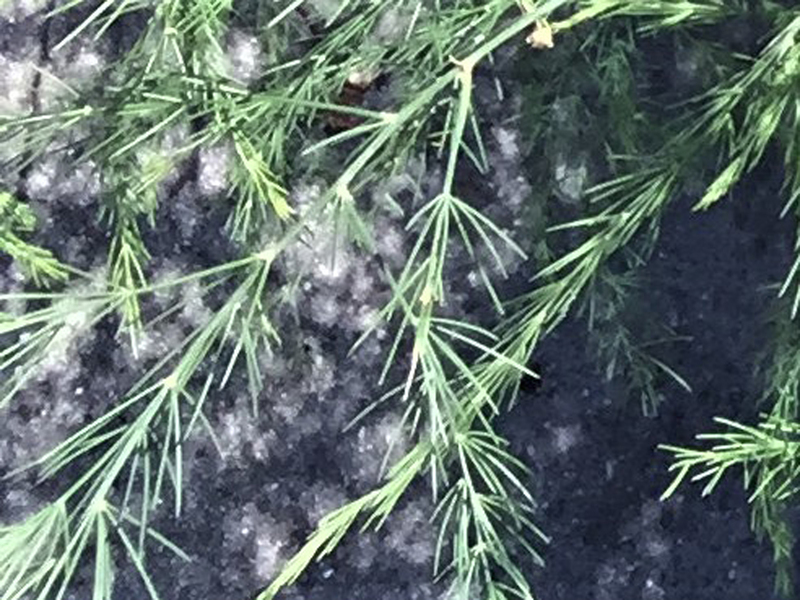 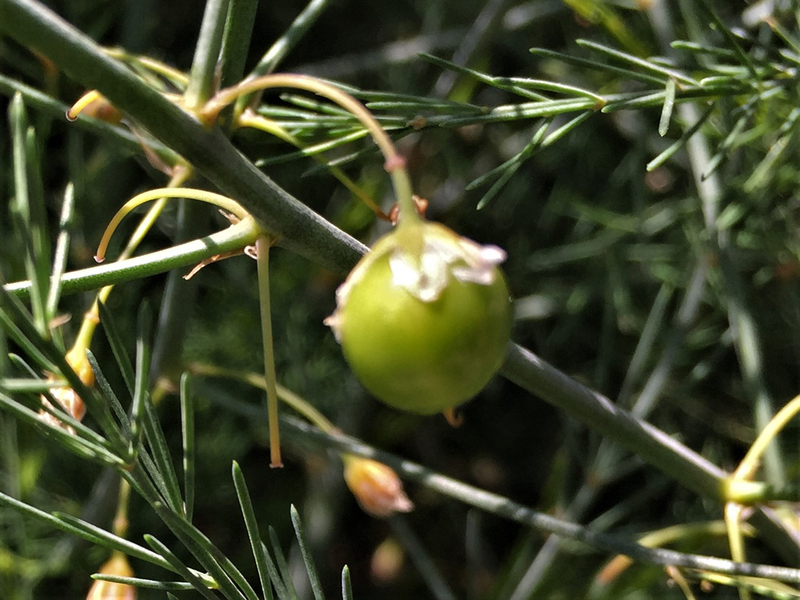 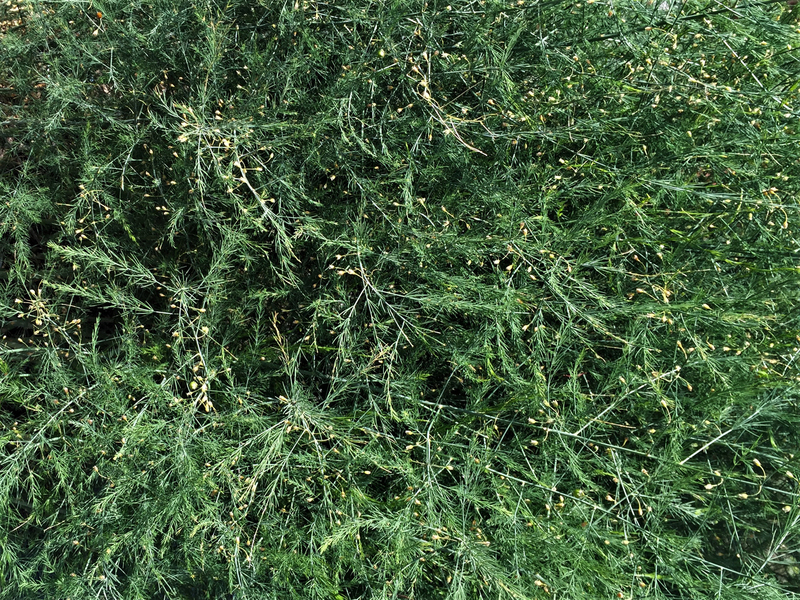 There are a few spikey shrubs that look similar but none grow asparagus spears from them. 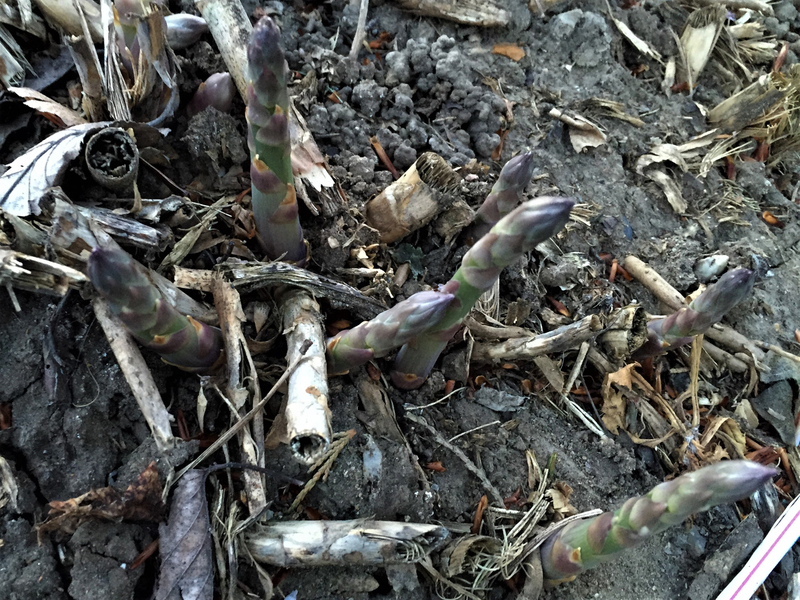 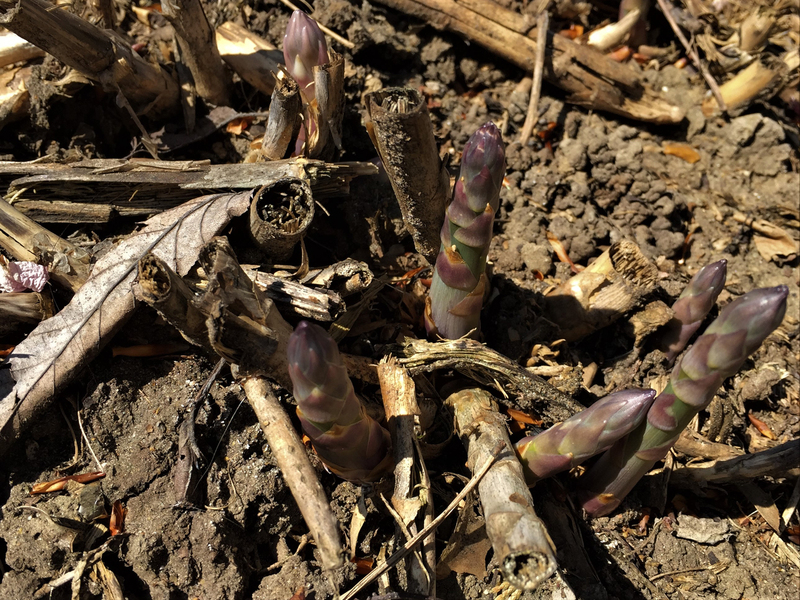 If you know where last years asparagus was growing from look for the fresh spears emerging from the ground from March to June or although much smaller, sometimes the upright tips grow from the branchlets and look and taste just like small cultivated asparagus and can be cooked and eaten in the same way later in the year. 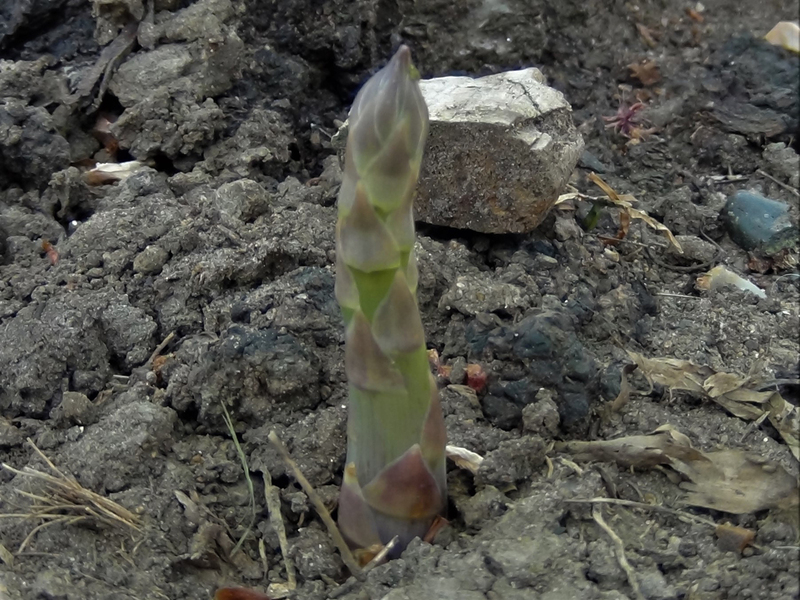 Asparagus can be used as a diuretic, a laxative or a kidney tonic.